Our club was formed in 2007 by Whippet enthusiasts in Queensland, with the aim of raising awareness of this wonderful breed, and in its ability to compete in a variety of dog sports, as well as being a wonderful companion. We aim to provide our members with support and advice in all aspects of the breed and promote ethical and responsible breeding practices. If you would like to find out more about the Club or would like to get involved, please come along and join us at a club meeting, or contact one of our Committee Members who will be happy to help answer your questions. Meetings are held on the third Wednesday night of every second month, commencing at 7.00pm. Meeting venues to be notified.but we try to alternate between a venue on the south side (generally Durack) and the the north side. December 3 - at our Christmas Fun Day. All members are invited to attend. Any agenda items should be forwarded to the Club Secretary by the Monday afternoon before each meeting. Please check the Noticeboard on our Homepage for notices/updates re upcoming meeting dates and venues. The club conducts one Championship Show in August each year, and two Open Shows in February - at the Dogs Qld Showgrounds Durack. Membership of the Whippet Club of Qld is not a requirement for entry. The club holds regular Fun and Walk Days throughout the year and these are a great opportunity to catch up with fellow club members and their dogs in a casual non show atmosphere. A fun day for both dogs and people! 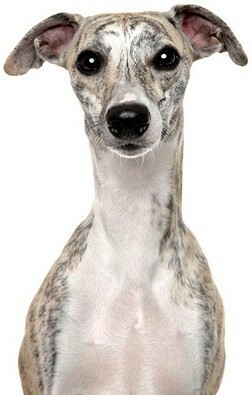 If you are interested in joining the Whippet Club of Qld, please do not hesitate to contact us. To apply for membership please print out and complete our Membership Form and mail it along with appropriate payment to the club Secretary. New applications will be presented at the next club meeting, and you will need to be nominated by a current club member. Click on the link below to download a pdf Application for Membership form for both new members and renewal of existing members. Print out a copy of the form, complete, and with your cheque or money order post to the club Secretary. The club membership year runs from July to June.